Thanks Mitch but he's covered. see you boys tomorrow !! Last edited by ScottySDKOI; 4 Weeks Ago at 01:31 AM. Announcing the winner of the WWKC Friendship Award at the So Cal ZNA Koi Show . Congratulations to Mitch! 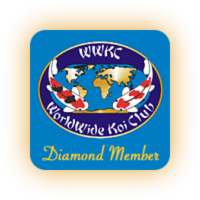 Thanks to all who helped with the WWKC Award. "Get your facts first, and then you can distort them as much as you please". Last edited by OCkoiFan; 4 Weeks Ago at 03:21 PM. Anyone recognize the big chagoi?